Below, I’m going to conduct a review of the main social platforms and provide updates – as well as provide some critiques. I am going to refrain from discussing Snapchat because – despite positioning itself as a serious content platform – its usefulness in the legal field is still questionable when its user base is largely under age 25. Wait, What Happened to My LinkedIn Account? Last week, I presented a LinkedIn best practices tutorial to a law firm. I had spent weeks preparing my slides and honing my information. I went to bed the night before eagerly awaiting my opportunity to share my LinkedIn knowledge. And then I woke up to find that – literally overnight – my LinkedIn account had been given a complete facelift. Turns out this was not a pre-public-speaking nightmare. LinkedIn is slowly rolling out its new interface to its users, and – despite their bad timing – it’s actually pretty great. Sleeker, cleaner and more intuitive, the new design mirrors much of the layout of Facebook, with user feeds prominently featured in the top-center of the homepage. While there is definitely a learning curve to figuring out just where the heck everything is, once you master the new LinkedIn, you’ll probably be happy about the refresh. And if you want some assistance in mastering the look, head on over to LinkedIn’s Help Center, where they provide a 3-minute tutorial (scroll down). So does this make LinkedIn more or less appealing to legal marketers and lawyers? Frankly, I’m excited about this update. I think it is a long time coming. Old LinkedIn was clunky, like using DOS over Windows. (Please tell me you remember DOS.) New LinkedIn is actually something I want to be on, as opposed to an obligation. I anticipate that this will generate more visits to and more time spent on the network. 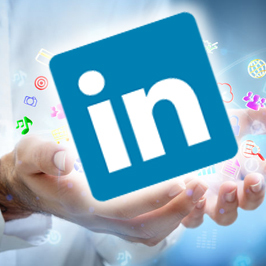 All this is to say that LinkedIn may become more valuable to law firms than ever. Twitter’s story plays out like a Greek tragedy. Once a fresh and innovative social platform that had the power to change the practice of journalism and ignite national revolutions, it has devolved into an unmanageable swarm of trolls and constant shaming. The company – which some have speculated is having financial problems – is trying to correct its course by finding ways to police harassers and curb Internet shaming (see the new feature where you can mute users by account type). But the fact remains that Twitter has a problem, and this should be a serious red flag to legal marketers. So what is a legal marketer to do? In recent history, best practices often dictated that we should all be active across all social media platforms as much as time allows. I think the time has come to rethink this strategy. By no means am I advocating abandoning Twitter. I think every law firm should, at the very least, have a handle on the platform. But I recommend being very conservative with what your firm shares and how it interacts with others on the site – if you choose to interact at all. I also think Twitter monitoring is incredibly important. It doesn’t take much for a single tweet to go viral for seemingly no rational reason (see Alex from Target). If one of your tweets is being shared and memed, you should know about it. As for allowing individual attorneys to tweet, I think legal marketers need to first revisit their social media policies with an eye toward Twitter, and if your policy doesn’t separate rules by platform, refresh your policy so that it does. Platforms are not equal, and while Facebook and LinkedIn will have similar guidelines, Twitter is a very different animal. As for what those guidelines should say, I would recommend, once again, a very conservative approach. Warn your attorneys about the hazards of Twitter. Provide examples of what can go wrong. Ensure their profiles state that their opinions do not reflect those of the firm. Reputations have been sunk as a result of errant tweets. The long-standing perception of Facebook is that it is the social network for baby pictures and political diatribes by distant cousins and high school alumni. But the casual social network has grown up and become a strong contender in the business world. While Facebook still primarily caters to the personal over the professional, the professional world itself is evolving to become more personal. As we cultivate our personal brands and are encouraged to reflect more of ourselves in our work as an expression of authenticity, Facebook is becoming a professional networking tool. While some may choose to not connect with colleagues or clients on the platform, which is a completely reasonable choice, many professionals have made such connections, albeit judiciously, as a way to deepen relationships beyond the business context. Facebook Groups and Pages have also proven to be valuable information-sharing venues, perhaps even more so than LinkedIn’s Groups feature, which typically serves as a venue for self-promotion. The Legal Marketing Association and the Association of Legal Administrators both have active Facebook pages that share a steady stream of thought leadership and association announcements. There are also public and private legal marketing-related groups across Facebook where legal marketers can share information with their peers. Finally, Facebook is trying to button itself up and take LinkedIn head-on with its new job posting feature. The new function allows employers to post jobs and candidates to apply quickly, all through the Facebook platform. The feature is too new to analyze its degree of success, but it reflects that Facebook is starting to become serious business. Honestly, I am not very active on Instagram. I just don’t have the time for another social network, and I’m not a huge fan of selfies. That said, there’s no denying it’s a very popular social network, boasting more than 500 million active users. Currently, the scope of Instagram’s use for law firms is limited, although opportunities to leverage the photo-sharing platform exist. Specifically, photos of firm events, speaking engagements, office parties, etc., are all excellent fodder for a law firm Instagram account. Such images can help put faces to a brand and provide a bit more personality to a firm’s marketing than the more-routine tactics like client alerts. How will social media continue to evolve? It’s hard to predict, but it appears as if each platform is trying to carve out its own niche while also attempting to compete directly with one another. LinkedIn still remains the dominant professional networking site, while Facebook is quickly becoming the one-stop shop for users’ Internet needs. What’s important is that we as legal marketers do not rest on our laurels and expect the best practices of yesterday to apply tomorrow when it comes to these networks. We must take time to step back occasionally, assess the playing field, and gauge whether our strategies should stay the course or make a hard pivot. What are your thoughts on today’s social media environment? Leave a comment, or contact Terry M. Isner at tisner@jaffepr.com. Thank you for this interesting wake-up-call! I would agree that social media platforms are here to stay, so the most recent developments are valuable knowledge. I’m already used to the idea that LinkedIn is the only social platform predominantly based on business and not leisure, but your description of Facebook’s newest updates makes a solid case for a different reality. I like your idea that the professional world is becoming more and more personal, though this should be expected in the never-ending search for Originality, the holiest of resources. I think the majority of the legal profession would admit to not being crazy about selfies, but you are right that photos of social gatherings are useful, especially considering the value of marketing events in offline marketing. I've also heard of different examples, such as photographing your new working venue.